Medical devices have the power to transform the healthcare landscape and dramatically improve health outcomes around the globe. However, access to life-saving medical equipment and supplies is far from universal. In Africa, there are not enough medical devices to serve the vast population of more than 1 billion—and, according to the World Health Organization, 40 percent of the medical devices available are currently out of service. In many parts of the continent, this dearth of functioning medical equipment means that diseases are diagnosed too late or not at all. In this webinar, SDM alumnus Oluwasoga Oni will explain how he used systems thinking to develop a startup designed to improve affordable access to medical devices in his home country, Nigeria, and ultimately across Africa. using the Idealized Design Framework to create a new model for tackling Africa’s medical equipment problem. Oluwasoga Oni is the CEO and founder of MDaaS, a medical equipment services company dedicated to improving affordable access to high-quality medical devices in Nigeria and across Africa. Previously, Oni worked as a software engineer for a large multinational data storage organization. 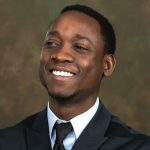 He holds a bachelor’s degree in information and communication technology from Covenant University in Ogun, Nigeria, and a master’s degree in electrical engineering from the Illinois Institute of Technology in Chicago. As a graduate of the System Design & Management program, he also holds a master’s degree in engineering and management from MIT. This entry was posted in Webinar on March 13, 2017 by Kathryn O'Neill.